buy any clothes until the end of February. So I have been digging through my wardrobe and re-styling some of my old items. 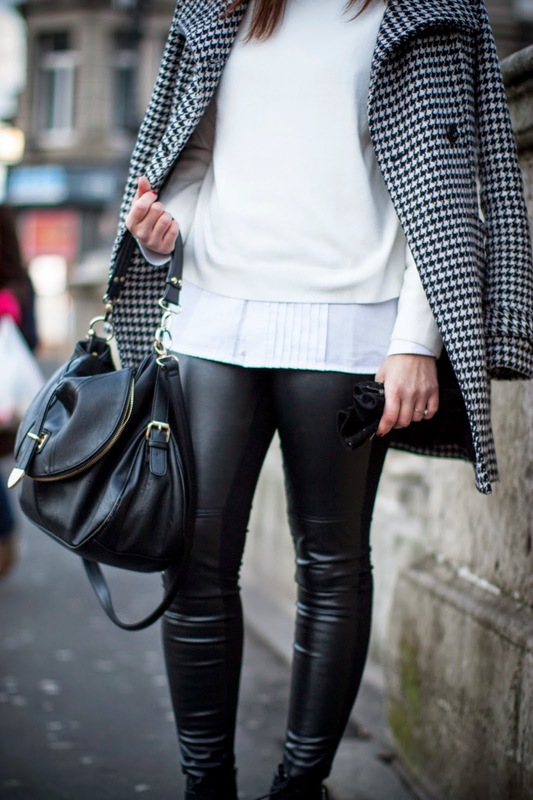 The monochrome is not a trend anymore, it's more like a staple look that every girl should master. I am a huge fan and tend buy black & white items constantly. You can mix and match most and wear them in many different ways. My favourite piece of today's outfit is this crisp white shirt. It's a man's toxido shirt and I bought it in a charity shop for 1e. 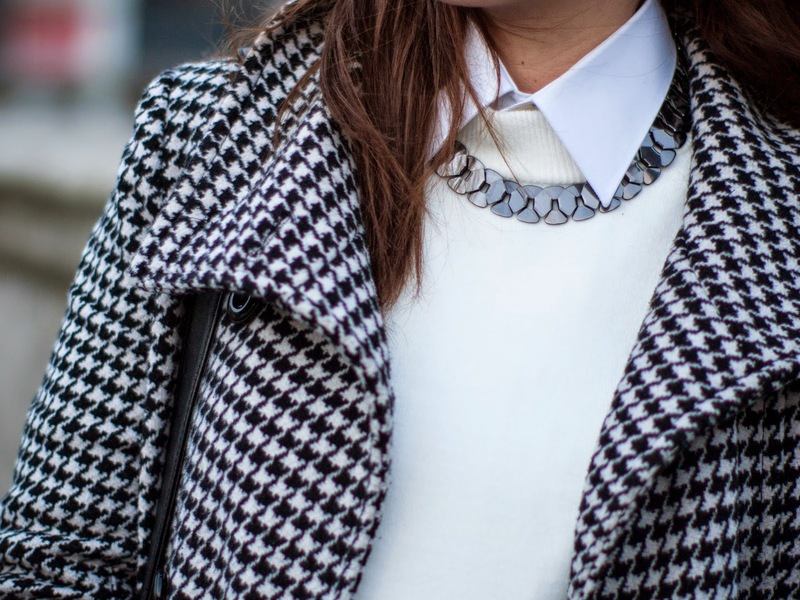 I adore the collar and the folding detail in the centre. The leather leaggings add an edge to the look and for even more texture I layered a cream jumper over the shirt. Have a great weekend and stay style gambling.